Let’s be honest: young people joining the world of work are getting a bit of a raw deal right now. Research undertaken by the TUC has shown that compared to their older counterparts, people aged 21-30 are having to overcome a number of challenges to not only get their careers into gear, but even just make ends meet. Stagnating or falling wages are two of the most common obstacles they’re facing; but job insecurity and hard-earned qualifications not paying off are also playing their part in driving job disengagement. This disengagement is contributing to the growing trend of job-hopping amongst younger workers. And who can blame them? They’ll want to get their first steps on the housing ladder, buy a nice car and live a comfortable lifestyle like we all do! If it means leaping from one role to the next every year or so, then so be it – but this means organisations large and small now have a real job on their hands when it comes to attracting and retaining the abundance of young talent out there. So, what can be done to stem the flow of talented, young employees leaving your business and getting them through the door – all without resorting to bigger and more expensive wage packets? Before we get into the financial wellbeing benefits bit, you need to ask yourself this question: what are younger workers really looking for in a job? Whilst bottom-line take-home pay will be a priority (obviously), there are a number of additional factors that go beyond the payslip when encouraging young talent to your business. Are you perceived as a business that rewards, recognises and engages with workers, or do you simply offer a job and a wage? The way people have searched for their next career move has changed immeasurably in the past decade; with sites like Glassdoor and Jobsite giving real-world insights into what it's really like working for your organisation. Do you actively help employees reach their full potential and help them up the career ladder through on-the-job training or courses? Helping young talent to flourish can pay dividends as you'll be able to promote from within more often; saving on recruitment costs and building an experienced and dedicated talent pool. Even if they do decide to eventually move on, their positive experience will link back to your reputation we mentioned earlier. If you're seen as an organisation that helps their employees reach their full potential, attracting fresh talent will be a heck of a lot easier and provide a steady stream of raw talent, too. Are you a rigid 9-5 environment or do you offer your staff the chance to manage their own working hours and where they work? Whilst this type of benefit is dependent on the needs of a business, if your staff can do their job at home just as easily as they could in the office, giving them the opportunity to do just that can make a world of difference - both from a cost-saving point perspective, but also from making them time-richer; especially if they're commuting from long distances. Finally, are the people you employ a good match for your organisation’s own vision and values? Or are they there just because they can do the job? Employees who follow your own vision and values will have a far better chance of succeeding in their roles but also staying for longer. Plus, with everyone pulling in the same direction, it'll become easier for the business to succeed in the longer-term as you'll have an engaged workforce, too. Addressing these points beforehand is a great start to attracting those valuable younger workers; but the key to retaining them is offering the types of benefits that help improve their quality of life – and this is where those financial wellbeing benefits come into play. Offering budgeting tools that link to your employees’ accounts can help them to see how their spending is going or make it easier for them to keep putting the same amount into their account each month. You can help turn them into savvy savers for those all-important life purchases like a house, car or even a plush holiday. Giving your staff access to a loan (paid back through their salary) will mean you can offer loans to a greater range of employees than the high street. It could be exactly what your younger employees need to get on the road to being financially secure, consolidating debts they may have and avoiding getting into a cycle of unmanageable debt. In the same vein, encouraging them to either save alongside a loan, or continue with payments once it’s paid off, meaning they can build up a nice little nest egg for those really big purchases – like a house or car. From a new car leasing programme to help with regular commuting, to cycle-to-work schemes and employee discounts. This is the stuff that really resonates with younger workers as they can gain access to the lifestyle goods they really want and stretch those all-important wages further for longer. And that last bit is important. If you’re helping them spend wisely, helping them to fund their big life purchases and support their development, you’ll build crucial engagement; and engaged, happy employees will be more likely to stick with you and your business for longer. Offering benefits that improve the quality of life for your employees is just the tip of the iceberg when it comes to creating a positive company culture. 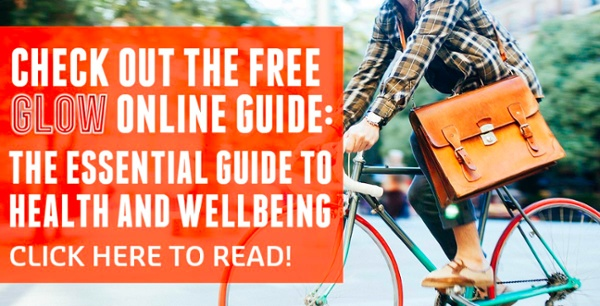 The health and wellbeing of employees is now a huge factor in the success of organisations - Get the full lowdown in our free online guide - just hit the link below to check it out!